Here we are nearing the end of January. How’s 2013 treating you so far? I now have a copy of R20+5. It’s still missing many things I hoped to see within, but there’s more than enough great additions and surprises to more than make up for it. 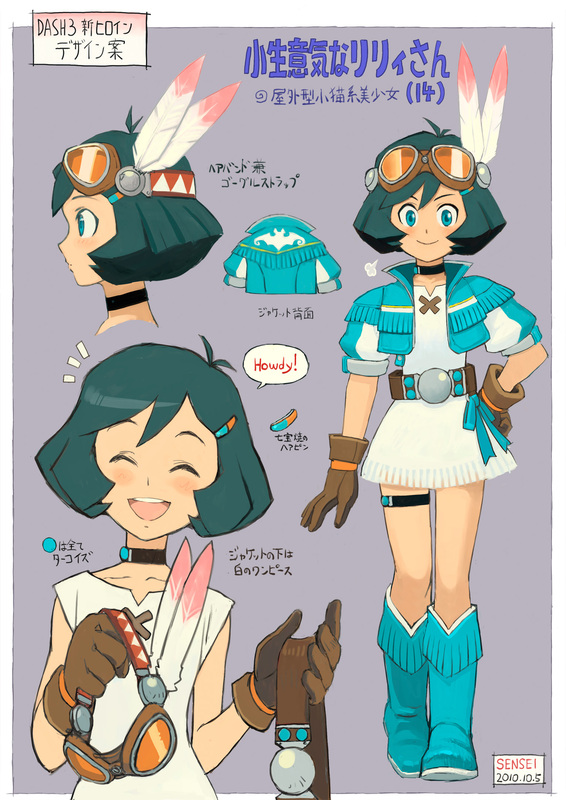 One such unexpected extra: Artwork from the DASH3 Heroine Design Contest! On the left, two Lilly designs by Haruki “SENSEI” Suetsugu. First a character height comparison chart featuring his Western themed Lilly which won second place in the contest, then an alternate design of his with more of a Catwoman/biker vibe. On the right is Hideki Ishikawa’s Lilly, before (below) and after (above) joining the “White Bats” (which it seems was an early name for the Bright Bats, and possibly why Western Lilly had a White Bat on the back of her jacket). Now you might have guessed, but I have got mixed feelings about this. On the one hand, I think it’s great the book actually uses artwork from and answers questions about DASH3 (not too many super-relevant ones, don’t get your hopes up). I’m glad they don’t just act like the whole thing never existed. However, I must admit, I get into this depressed funk every time I’m reminded of the game’s unceremonious cancellation. Every. Dang. Time. 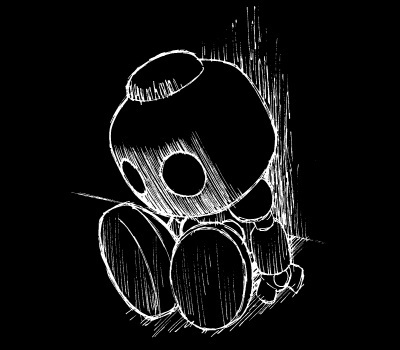 Even as I try to remind myself of the long tribulations of Mother 3 and how ultimately satisfying that turned out, I can’t help but worry that we will never be able to get back what we missed out on here: seeing the best ideas of thousands of Devroom members blossom into an amazing game. As history has proven, not much blogging gets done when I’m in such a state. For your sake, dear reader, I’m going to try and push it out of my mind for now. I’ll probably be posting bits of the book up here and there as I please. 8 Comments to "Happy and sad, but mostly glad"
Nice!! I would love to see Rockman 9 and 10 robot masters please ? I have seen few Rockman 9 from other site but not enough. We would love to see it, right, everyone ? Hi, this is nice…but i like Ishikawa’s new design (compare to the old one on top). My, she does have Sera or Yuna’s taste in skin color or dress. 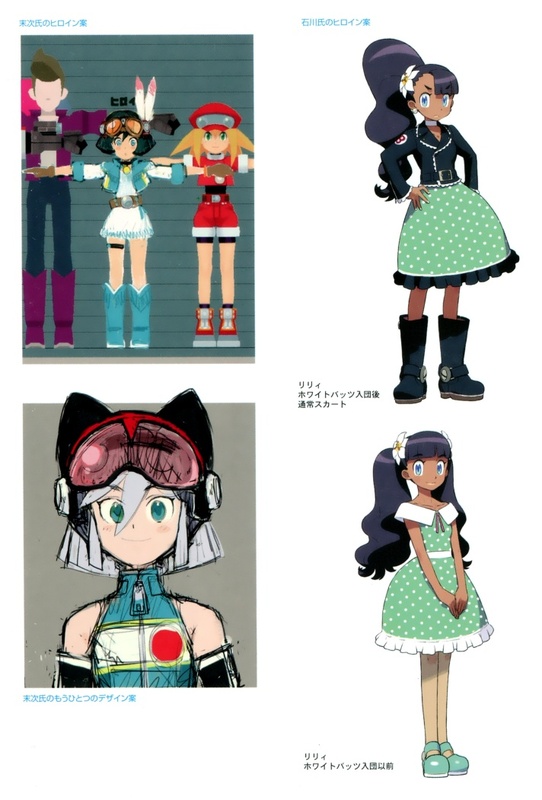 Did I notice something about Roll’s old clothing in the model near Lilly? Legends 3 art in R25–I was honestly not expecting that. Or Capcom acknowledging its existence at all, for that matter. I agree what you say RADIX, but you are right. They should chose that design then instead…It really catches my taste in me when it comes to hair and skin. 😛 BTW, I love that design, thank you for comment! Me too… Actually, I voted for both these girls, once in the Japan devroom and once in the US one. But it was probably because both of these artists were so versed in DASH art style that both of their characters looked series appropriate to me. Once Shinsuke Komaki’s Lilly got her style makeover (and they established that she dyes her hair) I dug her right away. It’s quite a surprise that R20+5 has DASH 3 content. Does it have art of the Reaverbots and Barrett’s weapons? I’m sure they might have it, but it mostly have the classic Rockman and other Rockman related stuff. Say, I really like that punksteam version of SENSEI.